Having created professional custom packaging for medicines of all kinds we’re confident that we at Box Printing Company have the necessary skills and experience to help you create the perfect packaging complement to your medicine products. Whether you’re in need the boxes for your blister packs or a simple yet the boxes for your medicine bottles. All you have to do is either choose from a varied selection of standard box styles or simply let us know any special requests you have in mind and we can quickly get your ideas from paper to reality. 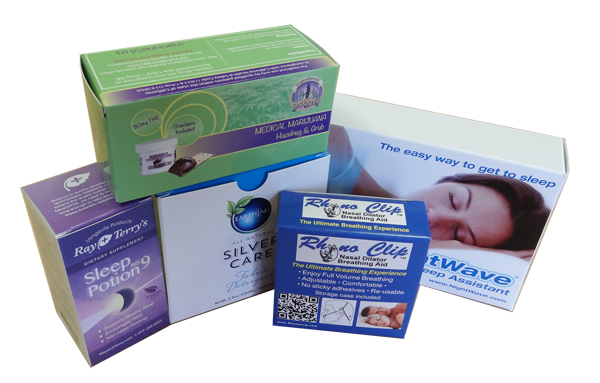 From the medicine boxes that sits on the counter or a hanger added for your medicine products; Boasting a team of highly dedicated experts we at Box Printing Company can help guide along the way to making just the right packaging for your medicine products. Don’t worry about the quality of the materials either as we can assure you that we our environment-friendly printing material that is highly durable and is one the safest and most secure methods of packaging your product. And creating the box is only half the battle as we also give you creative space in choosing for yourself what designs, logos, or image you’d like to include with your medicine boxes, you name it, we can have it printed onto your custom packaging with cheap prices and fast turnaround. Over the years we have helped hundreds of clients in this very field achieve the perfect packaging solution for their medicine products and we hope to be able to assist you as well, just say the word and Box Printing Company is on it. For more information regarding any special additional features such as spot UV coating, hot stamp foiling, or embossing, feel free to contact us for more details.